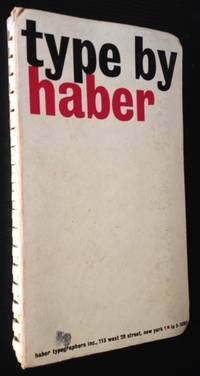 New York: Haber Typographers, 1960. Original wraps. Very Good. The 1st edition of this impressive trade catalogue (c. 1960), in its spiral-bound wrappers. Solid and VG, with light soiling to the panels. Thick octavo, 368 pgs. Hamilton, Ohio: Champion Papers, Inc, 1965. Original Wraps. Collectible; Fine. 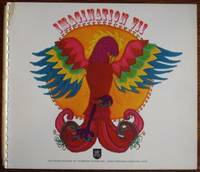 The 1965 issue #7 of this wonderful catalogue produced by Champion Papers, Inc. of Ohio. Lavish, startlingly high-quality graphic design thruout. Clean and Near Fine in its spiral-bound card wrappers. Oblong quarto, 32 pgs., fold-outs and pop-ups thruout. Hamilton, Ohio: Champion Papers, 1964. Original Wraps. Collectible; Fine. Wonderful 1964 catalogue issued by Champion Papers of Ohio and featuring very high-quality and imaginative graphic design. 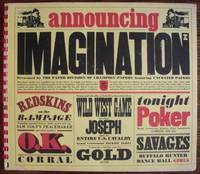 This issue is "Western"-themed and is the 6th catalogue issued. Clean, bright and Near Fine in its spiral-bound card wrappers. Oblong quarto, creative inserts, fold-outs and collages thruout. New York: The Push Pin Studios, Inc, 1962. 1st. Original Wraps. Collectible; Fine. 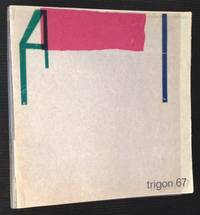 The 1962 40th issue of this wonderful bi-monthly magazine devoted to the graphic arts. Clean and Near Fine in its stapled, pictorial wrappers, with just a touch of creasing along the spine. 64mo, wonderfully illustrated thruout. Japan: Rikuyo-sha Publishing Inc, 1983. 1st. Hard Cover. Collectible; Fine. 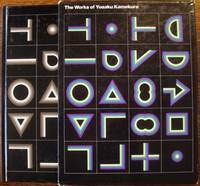 The 1983 1st edition of this impressive monograph on Japanese graphic artist/designer Yusaku Kamekura. Clean and Near Fine in its pictorial laminate boards. 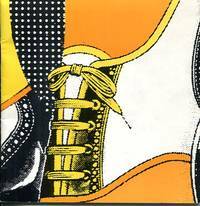 Tall, thick quarto, immaculate color (and balck-and-white) illustrations thruout. Also includes a bright, Near Fine example of publisher's matching laminate slipcase, with very light wear to the tips. Yale University Press, 1988. 1st. Decorative Cloth. Collectible; Fine/Fine. A crisp, very sharp copy of the 1988 1st edition. Fine in a bright, Fine dustjacket. Folio, 218 pgs., hundreds of color illustrations thruout. London: The Labour Party, 1948. 1st. Original Wraps. Collectible; Very Good. 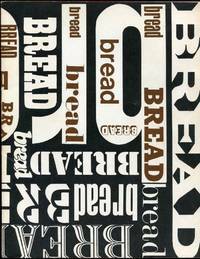 The 1948 1st edition of this introduction --produced by the British post-War Labour Party--to basic typography and design and layout. Clean and VG in its decorative, stapled wrappers, with light age-toning at the panels. Octavo, 48 pgs., crisp color and black-and-white plates thruout. Osterreich, Germany: Kunstlehaus, 1967. 1st. Original Wraps. Collectible; Very Good/Very Good. Stylish 1967 graphic design catalogue, focusing on the cutting-edge design work coming out of Italy, Germany and Yugoslavia at the time. VG in its decorative wrappers, with printed, designed mylar dustjacket. A number of signatures loose (not surprising considering its glue-based "perfectbound" binding) but firmly contained within the mylar jacket. Square octavo, 15 separate profiles of Europe's leading graphic designers of the day. Text in German, Italian and Croatian. New York: Parsons School of Design, 1973. Original Wraps. Collectible; Very Good. A handsome copy of the 1973 Parsons School of Design Yearbook, SIGNED BY 8 MEMBERS OF THE EDITORIAL DESIGN STAFF RESPONSIBLE FOR THE BOOK'S PUBLICATION. Bright and VG+ in its pictorial wrappers, with crisp black-and-white photos thruout. Quarto, 72 pgs. Signed by Author(s). Japan, 1977. 1st. cloth. Collectible; Fine/Very Good. A clean, well-preserved copy of the 1977 1st edition. Tight and Near Fine in a bright, VG+ dustjacket. Octavo, 96 pgs. Text in Japanese, dozens and dozens of vivid color plates thruout demonstrating leading Japanese graphic design and display art.